The historic Tate House was constructed for Captain George Tate and his family in 1755. A Senior Mast Agent for the British Royal Navy, Captain Tate was successful and his status in the community is reflected by the unique style of architecture he selected for his home. With its clapboards still unpainted, Tate House is one of two residences in Maine with an unusual subsumed dormer in the gambrel roof. 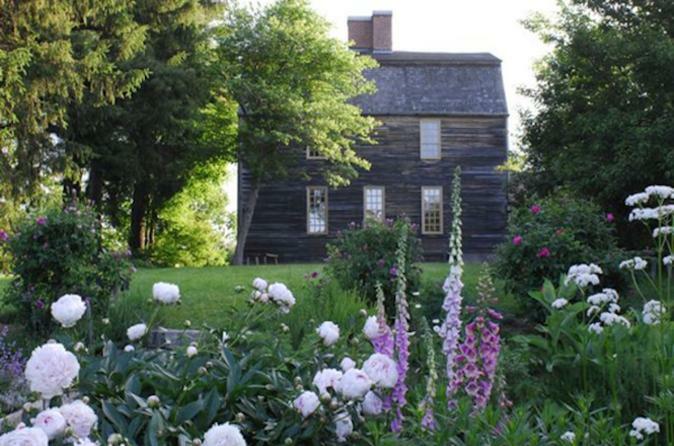 As the only pre-Revolutionary home in Greater Portland that is open to the public, the impressive period furnishings, beautiful grounds and herb gardens, and interesting architecture of Tate House offer an insightful glimpse at the 18th century and life in Colonial Maine. Your experienced guide will bring you through the home from the depths of the cellar to the top of the attic. You'll learn about the "marriage marks" in the rafters of the attic, see the base of the home's well-proportioned chimney, and more. These tours last roughly an hour and a half and are conducted by request. The architectural tours are generally geared toward age 16 and up.